Contact lenses require some extra care to ensure that you don’t compromise your vision with infections. Contacts are a great way to improve your vision without any impact on your appearance. Unlike glasses, however, contact lenses require some extra care to ensure that you don’t compromise your vision with infections. Here are four simple care instructions to maintain your contacts and your eye health. Wash your hands before putting in or taking out your lenses, and thoroughly dry your hands. Use fresh solution each time you store your contacts, and never “top off” solution. Even if your solution is no-rub, rub your contacts and rinse them to ensure all germs, dirt, and debris are removed. Clean your case too. It’s easy to think it’s clean since you only use it to store the lenses, but it needs to be cleaned regularly. Dump out leftover solution, rub it with your finger, then rinse it with fresh solution. Dry it with a tissue, and store the case and the caps upside down on a fresh tissue until you’re ready to use your lenses again. Replace the case about every three months as well. It’s tempting to skip taking them out when you’ve had a long day and you’re exhausted and just want to go to bed. No matter how tempting it is, though, sleeping with your contacts in isn’t a good idea. There are contacts that are designed for wearing while sleeping, but wearing contacts while you sleep increases your risk of infection significantly. Discuss it with your doctor if you really want to keep them in while you sleep, but you are not really saving any time, energy, or anything else by keeping them in at night. Water containsmicro-organisms that can get into your eyes and lead to infection. Without contacts, you can blink the water out of your eye and usually you’ll be fine. However, with contacts, unfortunately that water can slip between the contact and your eye, and this can lead to infection. Always take contacts out before bathing or swimming, and never use water to moisten either your contact or your eye. Use rewetting drops or, in a pinch, your contact cleansing solution will also work as eye drops.Taking the time to care for your eyes and make sure that they are safe is worth the investment. Remember, you only get one pair of eyes. When participating in activities like target shooting, or when working with wood or metal, it is important to always remember to wear polycarbonate lenses to protect your eyes. These kind of lenses are strong enough to deflect a bullet, so you should feel perfectly safe if you are wearing some when doing any kind of activity that might endanger your eyes. This is why OSHA and other organizations have such strict regulations concerning eye safety in the workplace. Your eyes are sensitive and are susceptible to harm. You must take the proper precautions to protect them at all times. It is also important to remember these things when participating in sports as well. As many as 40,000 eye injuries every year are sports-related. Whether they’re daily, weekly, or monthly wear, don’t wear your contacts longer than directed. Professionals, like those at Discover Vision Centers, know that they can cause infection and discomfort past their recommended usage time. Use a calendar or a reminder on your phone, if necessary, to make sure you change them on time. If you regularly replace your contacts, you will have less risk of infection and possible complications that can occur. Using contacts is simple and straightforward, so make an effort to take the time to keep them clean and regularly changed so you can receive the full benefit of using them. This is something most people do not think about very much, if at all. 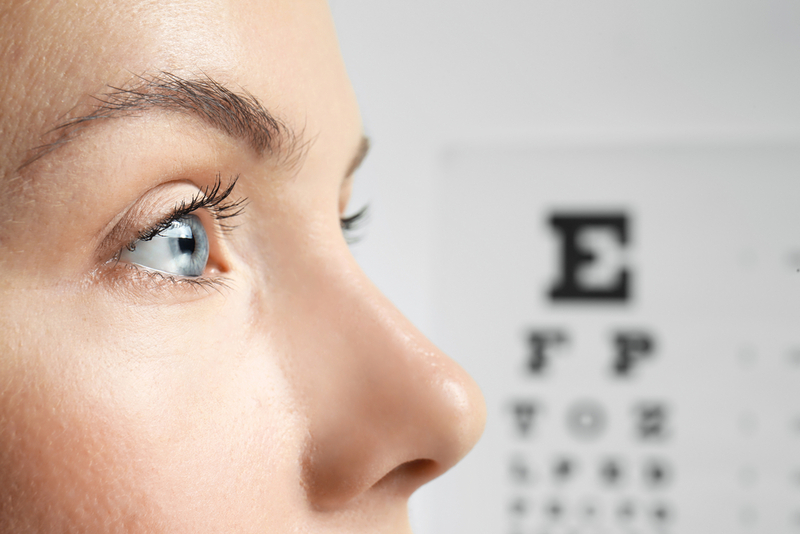 Certain foods, as well as herbs and supplements, can increase eye health and the lifespan of the eyes. Bilberry is one particular herb that can improve eyesight, and omega-3 fatty acids also help to coat neurons in the eyes, thereby increasing eye health and the ability to see clearly. You would be surprised how much easier you make out details and see clearer when regularly taking bilberry extract and omega-3 supplements. There are also many foods that are high in keratin and other nutrients that assist the eyes’ many functions and processes.Not only will your eyes have a greater lifespan when using the correct supplements that support them, they will serve you better all along the way throughout your life. Contacts improve your vision easily and quickly. For many people, they wear them with no problem. Following these simple care tips will increase your chances of having no issues.